Women over the age of 50 seem to be wearing bikinis more these days, and I’m one of them. I do it for fun, practicality, and comfort. Trust me, I have as many insecurities as the next woman, but I try not to spend too much time on them. From what I have observed, the women perfectly happy with their bodies are few; and those few are usually in a very narrow age range and have never had children. Contentment is another matter. We can all learn to be content, but that is different than a fatalism or giving up. Instead, I try to 1) learn to work with what I have, and 2) use frustration as motivation to problem solve and make positive changes. Meantime, I have fun wearing my bikinis. Bikinis keep me cooler than one pieces, which is both practical and comfortable. They are practical because the correct style of active bikini allows more freedom of movement than a one piece, but without the struggle to keep pieces from hiking up or floating around, like a tankini or skirted bottoms. Bikinis are fun because they let me enjoy more time in the sun, being able to maintain a more reasonable body temperature. I also find them to be more fashionably suitable to my figure type than one pieces. It is true that there will always be those who scoff or mock. Too many people spend time making snide comments about what other people wear. I can only think of two reasons for this. One, they are trying to make themselves feel better about themselves, like all bullies do; or, two, they are just being arrogant snobs. As long as people aren’t telling me what to wear, I don’t really care what they wear. Unless, of course, it gives me good ideas for things I’d like to try. 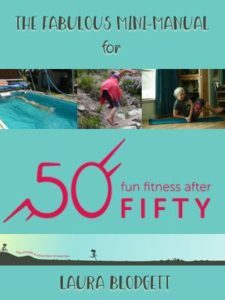 In fact, most people don’t actually care what other people look like nearly as much as they care if they, themselves, look “good.” So, if it is embarrassment that is holding you back from enjoying a bikini (or any bathing suit), you have only to overcome your concern for what (you think) other people think. The more your practice this, the easier it is. So, how do you go about buying a bikini for your next vacation or just for your own backyard? (Unless you have a very high fence, the neighbors will see you) It depends on what you want it for, where you live, and what the current season is. A bikini is typically thought of as a low rise, hip hugging bottom piece and a minimal coverage, triangle cup top. This is evolving to include a range of tops that accommodate different bust sizes and activity levels. Some of the bottom styles now available have less coverage in the back, which can be daring to some, but can also avoid the uncomfortable creep of leg openings up the buttocks. I find that most bikinis that are sold in local, Idaho stores are of lower quality and questionable practicality. This is probably because there are not that many occasions for most women here to wear a bikini, even during the summer. Buying a bikini for many women is simply an impulse buy as summer excitement sets in, without considering what would make it really work for them. Buying online could be challenging due to sizing and seeing how it really looks on you, but many reviews are very helpful. There is definitely more variety available online, tapping into the broader vacation market, as well as in stores in locations where sunbathing and active swimwear are more in demand. One drawback I’ve seen in this mode of shopping is that many specialty shops only sell their basic suits online. Waiting for the next *refreshing* wave on a Maui beach in a bikini. It can be nice to have at least one bikini in the bag when you arrive at a vacation location, but there are advantages to shopping while there, too. You can spend some time noticing what the latest fashions are on the beach. Most people are flattered if you stop them to ask where they bought their suit. There is generally a lot of competition for selling beach related items in such places, so you can usually find a range of prices. But don’t buy your suit just based on price. Take into consideration that how much you like the suit will have a direct impact on how much you will wear it. If it fits your well, makes you feel good, and is made of made of more substantial fabric, it is probably worth a few extra dollars. Okay, yes, you are reading advice from a woman who has about 10 bikinis currently. I have worn them all lately. Three are purchases within the last 6 months. I have worn out several over the last 5 years, mostly the bottoms which get torn from friction on rocks or swimming pool cement. Particularly, for straps on the top, are they wide enough to keep from cutting into me, but thin enough to not be bulky? Are they long enough to tie well and stay tied, but not so long that they are a nuisance? The halter style ties are the most common workable option for me, but some styles have a criss-cross back strap design that creates armholes of sorts and then only needs to be tied once mid back. Along the same lines, are there unnecessary dangly decorations that I will regret once I am being active or trying to get a suntan? Do the top straps allow for adjusting to a comfortable, personalized fit? This is one reason I prefer ties here, since my taller than average height is also relatively wider around the ribs than many statically sized swimsuit tops are designed. Is the top style complimentary to my shape and bust size? There is no point in wearing something that is designed for a bust size I don’t have. It tends to look bizarre and awkward. I find that the basic triangle style works best for me, but I know people with larger bust lines who try these and have various problems. Just like I choose dress or blouse shapes that are most complimentary, I choose bikini tops that don’t make me look like a badly dressed clown. How stationary are the bra cups of the top? If I want to be active in the suit, I definitely go with all the top sections being well attached to each other. If I am just going to be socializing by a pool, sliding triangles will work. At what angles are the bra cups attached to the straps? This can be hard to evaluate unless you can take the top for a swim or do something like get to play frisbee in it, things which are the main concern for me in this category. The point being that attachment points have to hold the bra cups on while against the force of water or while dealing with motion. 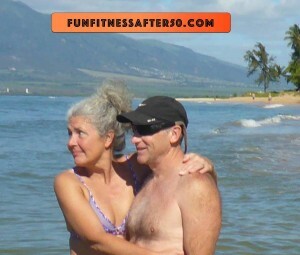 How stiff is the bikini top? I will not wear a stiff top. 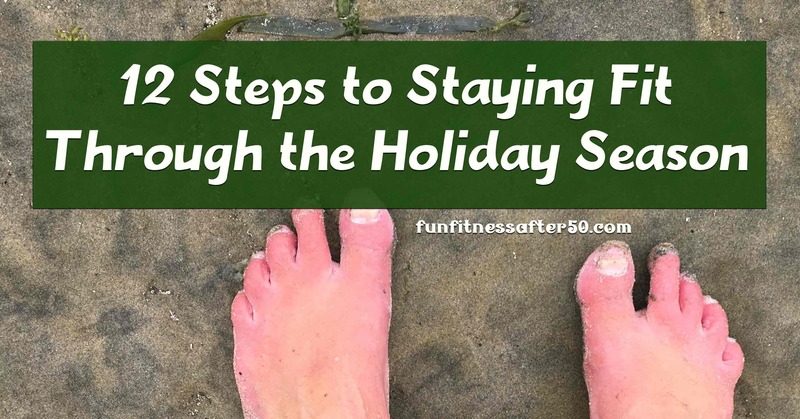 I know this is all done in the name of enhancing shape, but stiffness, such as underwires or plastic are both potential raw spots and don’t let the top mold to my own, unique shape. What type of padding is in the bra cup? A little bit of padding can provide the smooth lines that are currently fashionable (as opposed to the pointy bathing suit tops of the 1950’s!). However, too much pad looks fake and tends to slide around. My motto is that, while I like to look my best, I would rather work with my assets (which I’m sure are NOT that impressive, but, we’ve covered that) than attempt visual deception. Besides, the person my shape matters most to sees me naked, so I don’t see much point in trying to fool the rest of the world. Is the bottom once piece? I have tried tied sides to bikini bottoms and they are more trouble than they are worth. While ties may work for adjusting a top nicely, they tend to create weak points in a bikini bottom, as well as cut into my hips uncomfortably. If the goal is a very thin line at the outer hip, there are plenty of bottoms that do that without the hassle of ties there. What is the weight of the fabric? Too thin means a short life for the garment. Are the colors right for me? Too often, people make the mistake of choosing colors they like without considering what colors are best with their complexion. But, I am not afraid to have as much fun with colors as with style. How does the suit make me feel? There may be details of design or fit that I can’t quite put my finger on, but if I know I feel good or bad in a suit while trying it on, this is something to pay attention to. This is different that just wondering about whether certain body shapes are too embarrassing. It is more like whether or not a certain hair style flatters your face. Is there someone with me who can give me their input? Be very skeptical about what salespeople tell you about how you look, but if you can get someone to shop with you who has the same sense of fun and beach style, it makes the shopping outcome all the more certain. Here are a couple of shops and suits that I recently purchased. I don’t claim to have thoroughly shopped in all the locations I mention, but I did shop to various degrees in many of the shops surrounding and was drawn to these specific shops. First, I went to Maui Girl in Paia, because I had seen their website and liked the variety. I had tried to order something online before our trip, but although they showed many photos online, they didn’t sell more than their most basic suits online. From looking at their website now, this may have changed. When, I got there, they didn’t have quite the choices in the store that I had hoped. Most of the suits on their racks were the same I could have gotten online, but I did find one that I really liked. I found the same suit later on swimoutlet.com, but I do’t think I would have purchased it without trying it on. But now I know that I like this particular brand, Maaji. The other shop I purchased a bikini at is The Maui Clothing Company. It was not of the same high quality fabric, and the criss-cross straps were a bit too short, but it was about half the cost of the other and I really liked the design. The style of the top was one I hadn’t seen anywhere else. I may add length to the straps and that will make it much better. A drawer for every bikini. 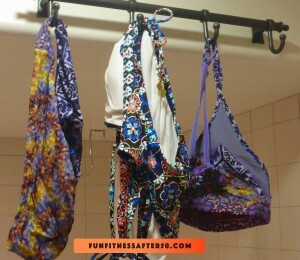 Three bikinis are hanging drying as of the time of this photo. With all of these fun bikinis, I decided I needed a better way to see them and have access to getting them out. Bikinis just don’t stay neat in an open drawer very well. 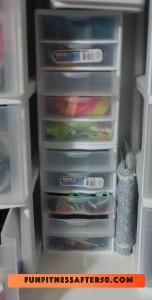 I got some small plastic drawers from Walmart. 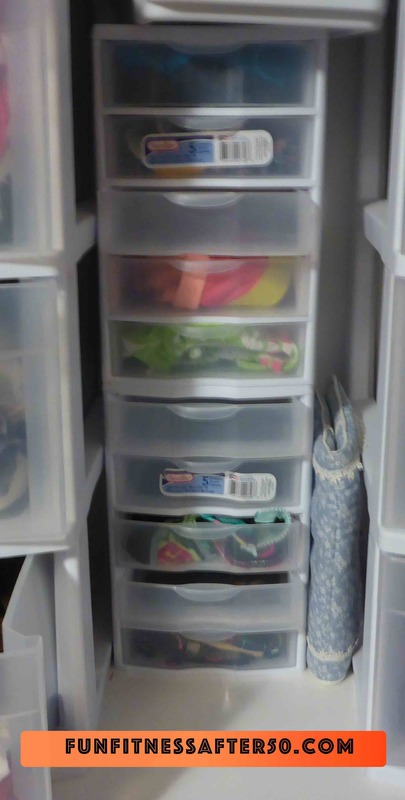 One advantage to a small bust is that each bikini fits in one drawer. This includes my favorite active bikini for swim workouts a lot. There are other good benefits to regularly wearing a bikini. 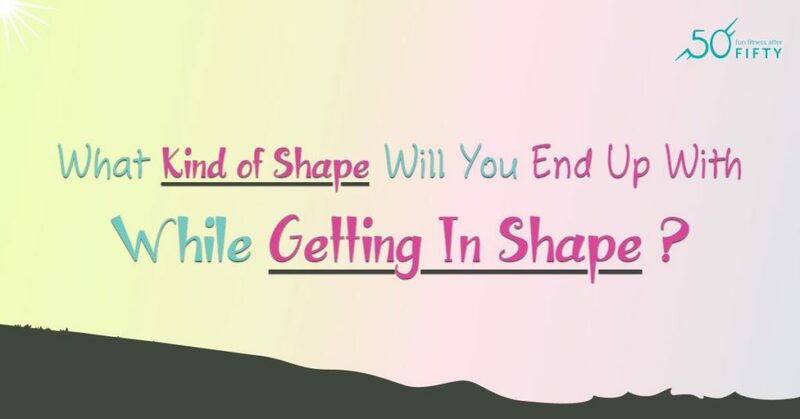 It helps me stay motivated about staying as fit as I can, working on belly fat, and maintaining good posture. Summer swim workouts are simply more fun in a bikini, plus I can catch a few rays afterward while I dry off. 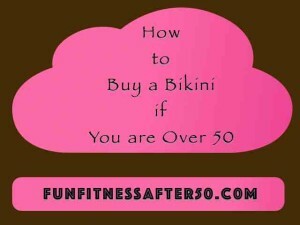 Really, the criteria for buying and wearing a bikini after age 50 are no different than at any other age. If someone tries to tell you differently, they are probably just jealous you are having so much fun wearing one. A drying rack my husband installed over the tub just for my bathing suits!